It is the largest of all neoregelias and also one of the cold-hardiest. Astonishing colourful rosettes with wide leaves, 50-90 cm in diameter. Wide, light green leaves with showy pink/purple banding. Give morning sun or light-shade. 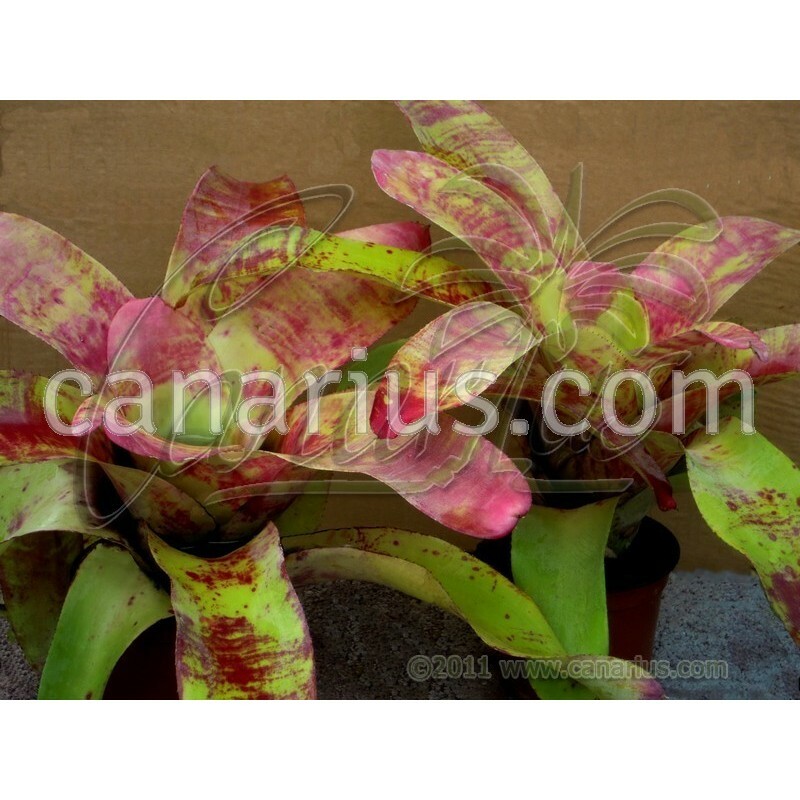 To be precise, this wild form of Neoregelia johannis belong to the clone named Fairchild. It is the most spectacular of all ! It is the largest of all neoregelias and also one of the cold-hardiest. 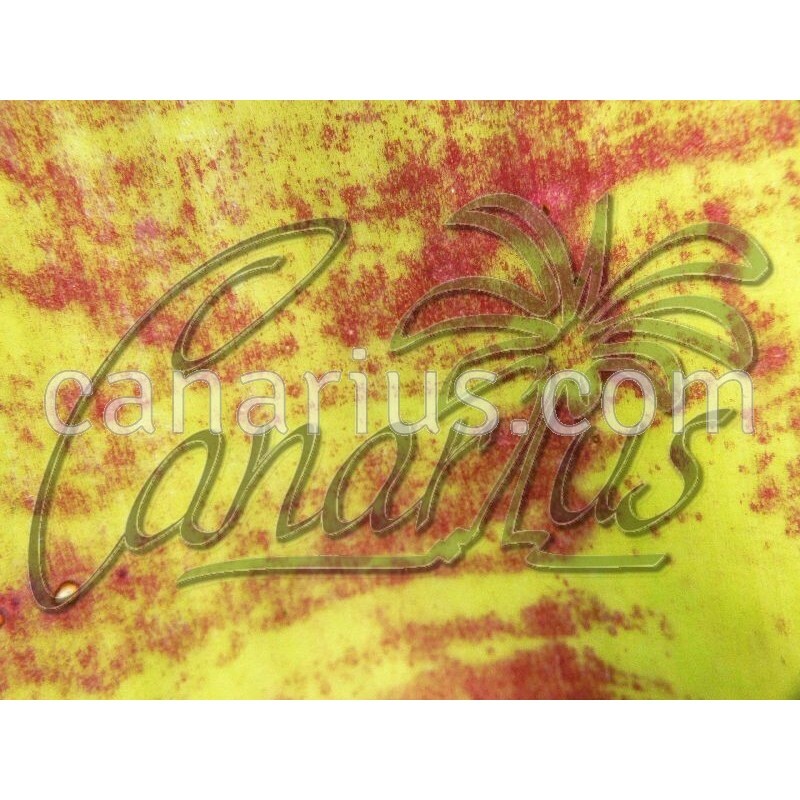 Astonishing colourful rosettes with wide leaves, 50-90 cm in diameter ! The water in the funnel of a large clump can be up to 14 liters. 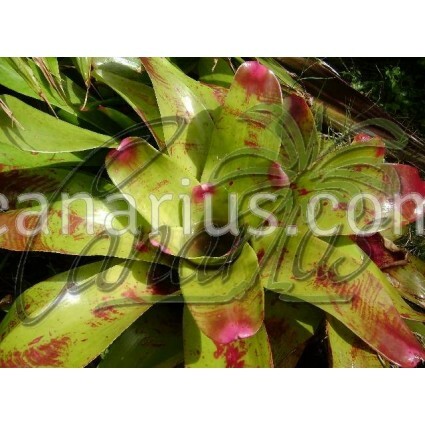 Neoregelia johannis grows fast, but it is slow to reproduce, because each growing cycle it produces few pups. The astonishing colourful rosettes achieve 50-90 cm in diameter. Leaves are wide, light green with pink/purple banding. Give morning sun or light-shade. To be precise, this wild form of Neoregelia johannis belong to the clone named Fairchild. It is the most spectacular of all ! 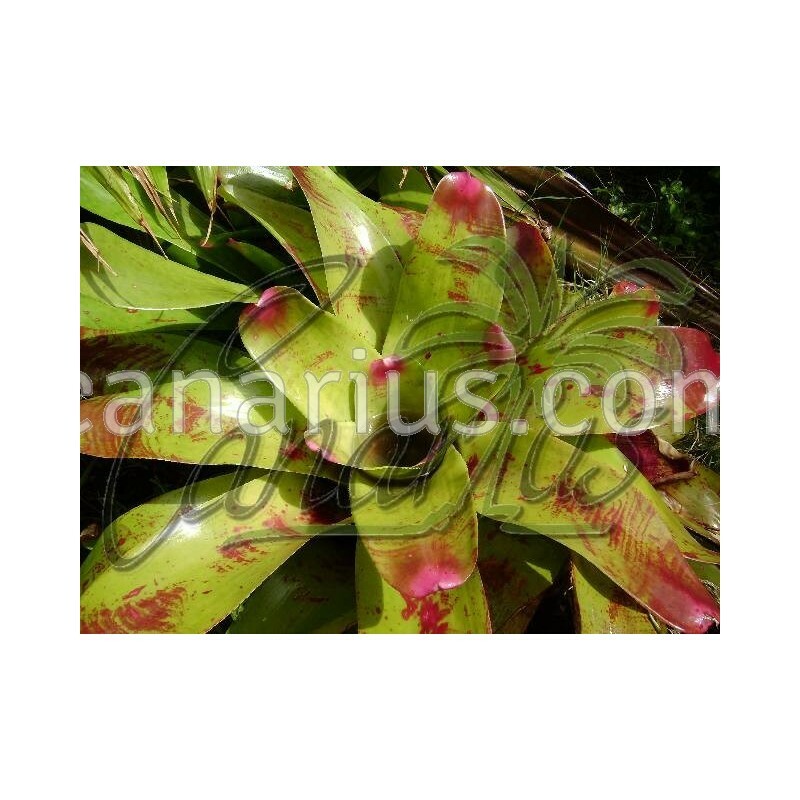 We offer one rooted pup of this huge Neoregelia, of 30-40 cm, able to flower in one year. We ship it worldwide.